Research indicates that 90% of a child’s brain connections are formed in the first five years of life, setting the stage for all future academic, social, and school success. And studies show that children who attend quality pre-schools go on to have better test scores, higher graduation rates, better emotional development, and better ability to self-regulate their behavior. But what does a high-quality Pre-K program look like? How can parents tell one from another? Are there enough qualified Pre-K teachers and are they fairly compensated? Which neighborhoods in Northeast Ohio are well supplied with quality Pre-K and which are not? What does good Pre-K cost and what resources are available to families that can’t afford it? These are the questions guiding the next episode of Cleveland Connects, a forum series sponsored by PNC Bank and presented by ideastream, cleveland.com and the Plain Dealer. Join us for Cleveland Connects - The First 2000 Days: Quality Pre-K, as Eboni Howard, Ph.D, Managing Researcher and Early Childhood Specialist at the American Institutes of Research, gives the keynote speech and Mike McIntyre, host of The Sound of Ideas and columnist for the Plain Dealer, leads a panel discussion. This event continues and expands our year-long coverage on 90.3 WCPN and WVIZ/PBS ideastream, cleveland.com, and the Plain Dealer, exploring the science, best practices and economics of early childhood education. PRE4CLE is a plan to ensure all 3- and 4-year-old children in Cleveland have access to a high-quality preschool. Cleveland Connects: The First 2000 Days stories and content are available on cleveland.com. On February 26, 2016 The City Club of Cleveland presented a forum entitled: Lessons From Tulsa, Oklahoma: Preschool as a Step Towards Life-Long Success. Sponsored by PNC Bank and moderated by ideastream’s Mike McIntyre, you can watch or listen to the forum on-demand. From PBS Parents: Choosing your child’s childcare center or first school is both an exciting and daunting prospect. Here are questions to ask, and things to look for to ensure that this school will be right for your child and you. 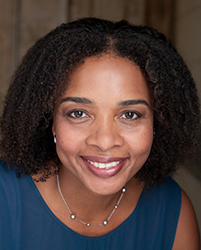 Eboni Howard is a managing researcher and an early childhood specialist who oversees AIR’s early childhood practice area. Dr. Howard has over 20 years of experience conducting child and family research, as well as program administration and management. She has provided research or consultation services to federal, state and local organizations. Dr. Howard is currently the director of two projects related to the professional development of teachers in Head Start programs for the U.S. Department of Health and Human Services, Administration for Children and Families, Office of Planning, Research and Evaluation. She is also a senior advisor for Massachusetts’s Race to the Top Early Learning Challenge Grant Study: Validation of Educator Competency, and is the early childhood alliance lead for the U.S. Department of Education, Institute for Education Sciences, Regional Educational Laboratories-Midwest (REL Midwest). She has provided consulting services for organizations including the National Association for the Advancement of Colored People, the Council of Chief State School Officers, and Chicago Public Schools. Before joining AIR, she was the Frances Stott Chair in Early Childhood Policy and founding director of the Herr Research Center for Children and Social Policy at Erikson Institute. Prior to her work at Erikson, Dr. Howard was a senior researcher at Chapin Hall Center for Children at the University of Chicago. Dr. Howard has presented extensively on early childhood topics and has served on a number of advisory boards, including the Illinois’s Early Learning Council and First 5 LA Research Advisory Committee. She also served on the National Research Council’s Committee on Developmental Outcomes and Assessments for Young Children that published Early Childhood Assessment: Why, What and How. Dorothy “Dody” Chadwick has been the director of the Glenview Center since 2009. Dody has her Master’s Degree in Education from Cleveland State; her BA from Yale University, and a licensure in Pre-Kindergarten Education. Glenview is the third child care center she has directed. A resident of Bay Village, Dody is committed to excellence in early childhood education. The Glenview Center for Child Care and Learning is a non-profit, tuition based program, operated by the Bay Village Board of Education. The Center is licensed by the State Department of Education. Since 1982 the center has operated a year-round program in the Glenview Elementary School building, serving children from infancy through fifth grade. Barbara is the President of the National Association for the Education of Young Children, Cleveland Chapter. She is on the board of The Center for Families and Children. She is the Coordinator of Early Childhood Education at Cuyahoga Community College, where she also teaches Early Childhood Education. She formerly operated a private preschool in Shaker Heights and frequently gives talks to educators on the importance of quality early childhood education. Sandra is the Owner/Administrator of “A Mother’s Touch”. She has worked with children for 28 years, including 20 in the family childcare field. She has an Associate of Applied Science degree in Early Childhood with a State of Ohio Pre-K teaching license. Her license Type A family care home is a Step Up To Quality award-winning home. Sandra worked to help pass city legislation in 2006 requiring all child care homes and facilities to be registered and inspected for fire and building safety. PNC Bank is sponsoring the series as part of its investment in early-childhood programs.